We are proud to present a new concept for a 24-hour universal dispensing machine for pharmacy and parapharmacy products. 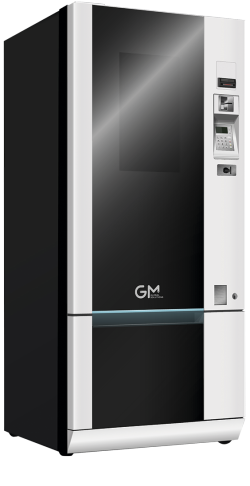 Its aesthetically pleasing, avant-garde design and the application of the latest technology, make this machine the perfect top-of-the-range solution for pharmacies, hotels, airports and train and bus stations. It features a flexible, modular product configuration system with the auto-detection of channels, offering great versatility to adapt to the different needs of customers. The GMBOS telemetry application allows for the optimal management of stock control, price updates, incidents, etc. The touch screen offers customers additional information on the products available for purchase and serves as an advertising platform for the brands, with direct impact on the end customer.